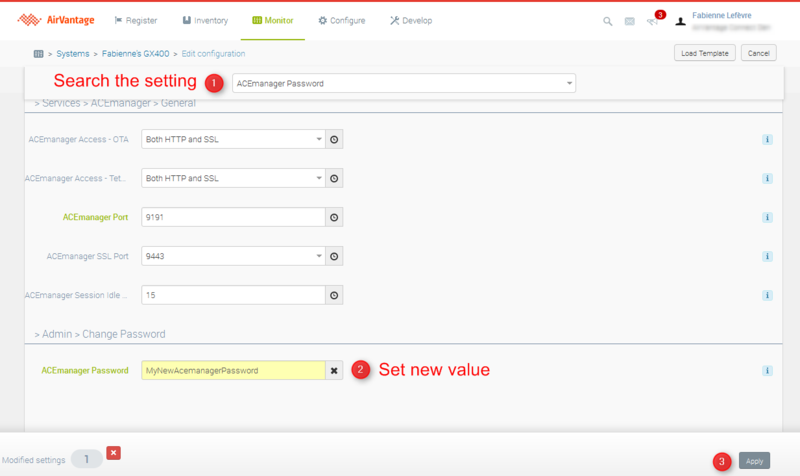 How to remotely change the ACEmanager password on my ALEOS Gateway? For devices that communicate with ALMS using LWM2M, the password field is no longer required. In this case, you can skip to Change the ACEmanager password for one device. The M3DA password will still be required for AAF applications. Select a system and click on Edit in the action bar or directly in the Actions column. In the Applications section, click on the icon to edit the credentials for the ALEOS firmware. Set the ACEmanager password (in MSCI section). 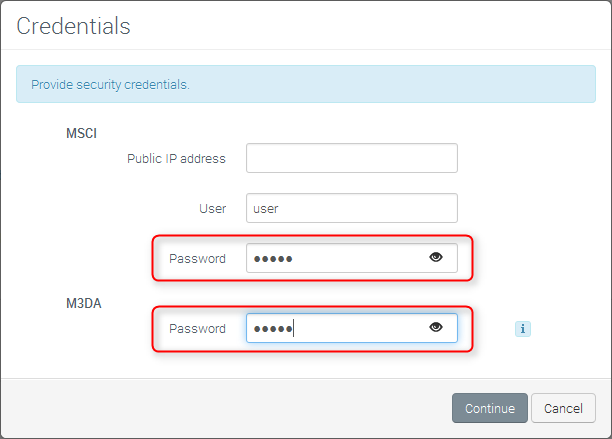 You can also set the M3DA password in the specific section. Default values when device comes out of factory are 12345. 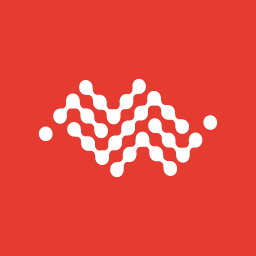 Note: Initializing the values is only required for gateways commuicating using MSCI, and is not required if your gateway is configured with LWM2M. Select your system and dive into the system configuration. Click on edit. Select the ‘ACEmanager password’ setting. At next device heartbeat, the password will be configured on the device. Go into Monitor system list and select all the devices you want to update the password on by filtering to the correct devices and using the “select all” checkbox. In the action bar, select the ‘Apply setting (CSV)’ item from the menu. In the dialog box that opens the first step will be to define a unique identifier to be used to provide the list of systems for which you want to change names. Let’s choose the Serial Number. Choose the version of firmware (application) that is used on the devices. All selected devices should be running the same version of ALEOS. The second field under ‘Setting’ is the value you want to change on each device. In this case, we want to change the ACEmanager password, so search for and select the ‘ACEmanager password’ setting. You will have to provide a .csv file with the values you want to apply to each device. Select ‘Generate’, and the system will generate this .csv file with the existing information for each device. Refer to the screenshot below for an example. In a tool that can edit .csv files, update the password field for each device as required. Save the updated file. Click the ‘Select a CSV…’ button and upload the updated .csv file to the system. Click on ‘Apply setting (CSV)’. For each device, at the next heartbeat, the ACEmanager password will be updated on the device. ACEmanager password is considered sensitive information and therefore we highly recommend to configure each of your devices with a unique password. 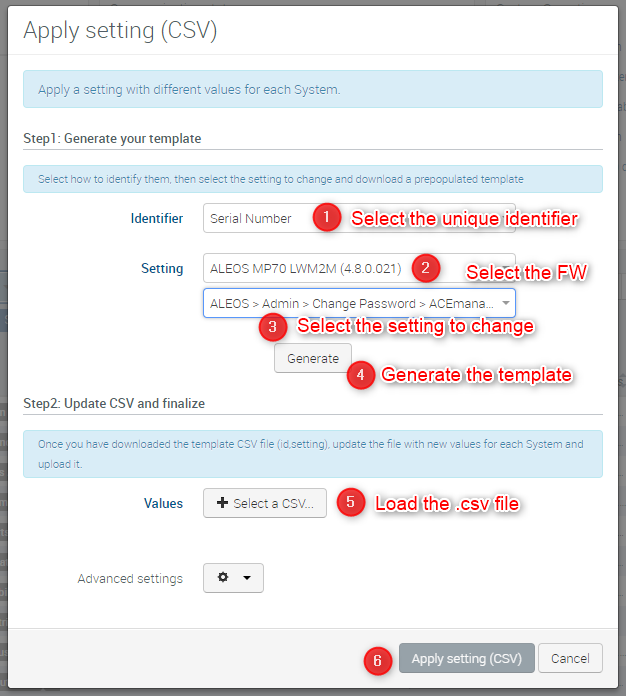 While these instructions have been tailored for updating the ACEmanager password, any ALEOS setting can be updated in this way.